The city's most vibrant boutique hotel is located in the heart of Melbourne's market precinct offering contemporary four star accommodation designed for business and leisure guests. Style, form and function allow you to get down to business in the spacious, multi-functional Conference and Events Centre. Jasper Hotel has a range of versatile rooms that can cater for every meeting, whatever the occasion, from 10 delegates up to 640 delegates. The Centre offers a flexible approach to your conferencing needs and our experienced staff will ensure that your event is tailored to your requirements. 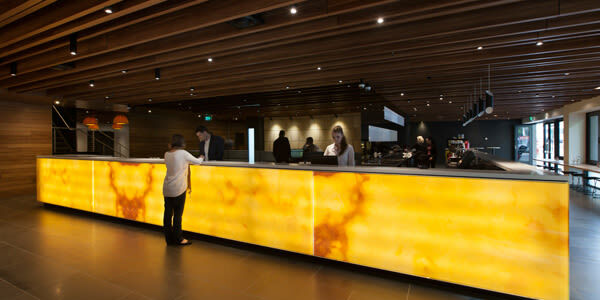 Jasper Hotel reflects the distinctive characteristics of Melbourne with a focus on colour and unique design. Bold colours suffuse the hotel featuring a signature mural and striking louvre wall creating a singular experience.